Who are you? 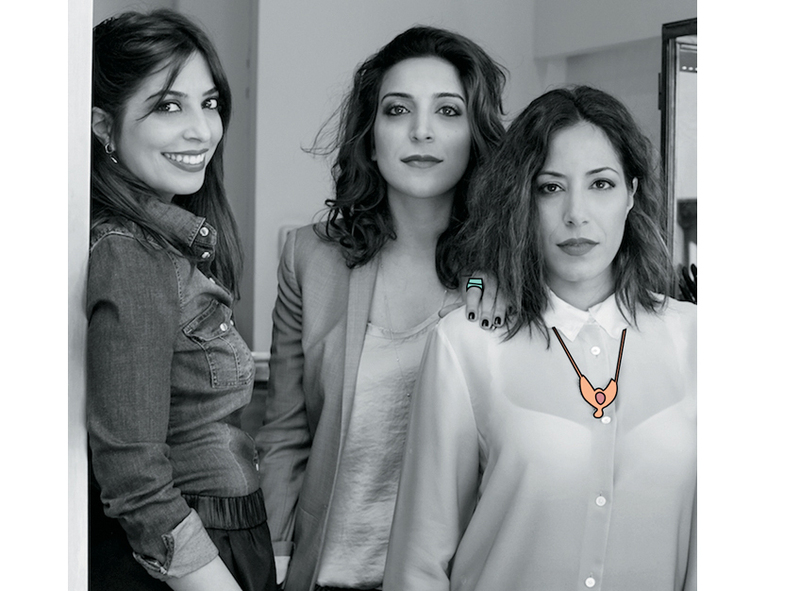 We are the Mukhi sisters, Maya, Meena and Zeenat, we transform personal stories and intimate moments in individual craft and jewelry. Each piece is an exchange, a distinct experience with a unique energy. Worn during the day or evening, our designs reflect the personal style of each one of us, her interests and obsessions. For us, subtlety meets audacity, nostalgia meets fashion, ethnic meets urban. Sensations that celebrate the beauty of semi-precious stones, gold, diamonds, and reflect a sparkling and personal lifestyle. What do you display? Beirut lives in the hope of a better tomorrow. Growing up in a climate of war and instability has pushed us to have a passion for life in the present, a constant sense of struggle between nostalgia for the glorious days and the current Beirut. In 2015, the inspiration for «Reverie on the vine» was drawn from the villages of Lebanon we discovered, with beautiful sunsets in the background. In winter 2016, were the holes symbolizing the bullets, scars the country still bears, especially in Beirut. Black, symbol of death and the end. But through the hole, you will see the light. Animated by a vibrant and specific energy, Beirut to which we are attached, will live on. Faith in a better future encourages us to stay here. What does«Retrieving Beirut» mean to you? Three years ago, Zeenat was interested in an art installation. With «Retrieving Beirut», the opportunity was beautiful. More than an event, it is a vision and a contribution to social development, a way to share our positive vision of Beirut and a personal reminder of what we admire in our society. Which piece is the closest to your heart? All the pieces are dear to our heart. The single earring, matching the hair buckle is the star of our collection «Reverie on the vine». What is art for you? Art is subjective. It is an interaction between the artist and his work, transmitted to the public; a mirror that reflects a society at a certain time. It expresses the unsaid.